AUSTRALIA MINING JOBS are one of the most sought after jobs for people looking to move to Australia from overseas. The mining boom, although slowing slightly when compared to previous years is still in full swing with multiple, multibillion dollar projects still being rolled out and likely to operate for the next 30 – 40 years. The salaries associated with Australian mining jobs is high. As we wrote in the article published back in April this year. A recent survey undertaken by recruitment company Hays found that the Australian oil and gas workers earn $163,600 a year on average, 35% more than employees in the U.S. and almost double the global average. The lure of the high salaries associated with mining jobs in Australia seems to be one of the greatest contributing factors. To understand if you have a mining related skill in demand, the first place to look is the Australian Skilled Occupations List (SOL). The SOL is a really useful tool for giving people who want to migrate to Australia a clear idea of just what skills are in short supply here over the next three to five years. Reviewing the current SOL, most of the mining related skills appear to be in the engineering space. If you are a Petroleum Engineer, a structural engineer or even a welder, then you may well have the types of skills sought by many Australian mining companies. Going down this path can be a slow process though as you’ll need to raise an Expression of Interest via the Australian governments Skillselect website . When it comes to Australian mining jobs, one of the common stories that people hear is about the Heavy Goods Vehicle (HGV) drivers in Australia earing $100,000’s a year driving their trucks for the mining companies. They see the pictures of the big yellow trucks and hope to make a great living driving one, one day. 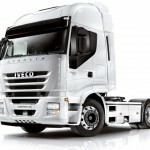 Although HGV Jobs in Australia are often quite prolific, unfortunately HGV Driver is not one of the skills in demand. With this in mind you need to give consideration to getting to Australia in the first place before applying for a Job as a HGV Driver. The 457 or Sponsored Visa option may be one of the most attractive ways to secure a mining job in Australia as it means that the employer will be doing most of the hard work to get you down under. Unfortunately these kind of roles are far and few between. Some sources make reference to a ‘hidden job market’ in Australia where hundreds of sponsored job opportunities could be had. From first-hand experience, I can confirm that the hidden market does indeed exist, this doesn’t necessarily mean that these ‘hidden’ mining jobs are indeed real opportunities though. One scenario to consider is that many of the major mining organisations in Australia have operations all around the world with experts holding many of the skill sets that might be considered ‘in demand’ here in Australia. Very often when there is a role to be filled to support a new project, the mining company will seek to second an internal candidate into the role as they immediately have the skills and expertise available whilst being familiar with the company and it’s culture. Recent changes to the 457 Visa scheme have led to the introduction of a genuineness criterion under which the department may refuse a nomination if the position does not fit within the scope of the activities of the business. Employers also have to demonstrate that the roles couldn’t be filled with local workers before looking overseas, it’s a fact which can be quite difficult to disprove though. With all that said, there are still a handful of mining jobs in Australia that are being offered by the mining companies as 457 Sponsorship opportunities. Finding these positions isn’t as hard as it might seem. There are a number of job boards or websites here in Australia and we’ve written about these before as part of our jobs in Australia article. We’ll use Seek.com.au as our example. Conduct a search on seek with ‘457 or ‘sponsorship’ as a keyword. This should produce a list of roles within companies that are offering to sponsor under 457 visas, or details of recruiters who are advertising on their behalf. You may find that the results are quite limited, however search regularly and you might be lucky enough to find the right role for you? 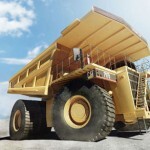 Interested in Australian Mining Jobs? We’d love to hear your thoughts and experiences. Post in the comments below.